Definition at line 13 of file CREWrapperArchetype.h. Definition at line 4 of file CREWrapperArchetype.cpp. Definition at line 10 of file CREWrapperArchetype.cpp. 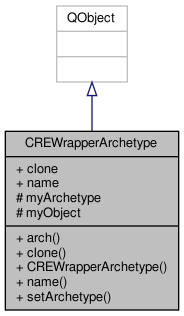 References clone(), myArchetype, myObject, name(), and archt::name. Definition at line 29 of file CREWrapperArchetype.h. 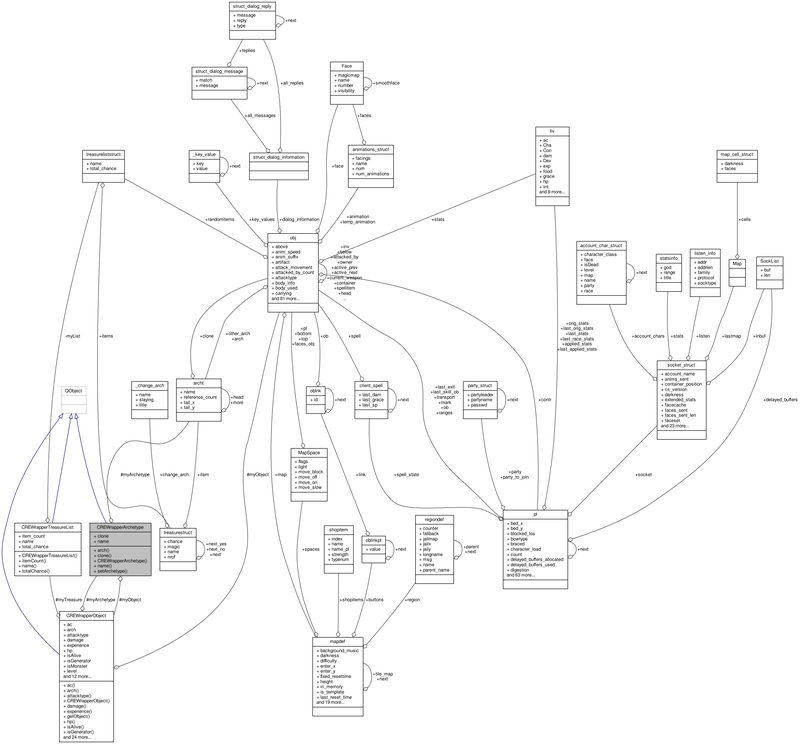 Referenced by CREWrapperArchetype(), and setArchetype(). Definition at line 30 of file CREWrapperArchetype.h. Definition at line 18 of file CREWrapperArchetype.h. Definition at line 17 of file CREWrapperArchetype.h.